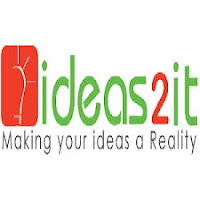 Software Engineer Jobs in Ideas2IT Technologies | Walkin Drive 22nd and 23rd July 2017. 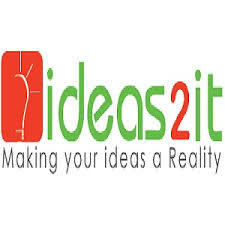 Ideas2IT has issued a notification for the role of Software Engineer. Candidates who had completed their graduation in BE, B.Tech, B.Sc, ME, M.Tech, MCA, M.Sc in the year of 2017 can attend for the latest vacancies in Chennai. 2017 Pass out freshers are only eligible without any standing arrears. Contenders who are having good logical thinking skills and quick learner with a great attitude are preferred first. Job aspirants who will perform well in the Online Screening test those candidates will be eligible to attend for Face to Face Interview. The final shortlisted candidates will have to appear for CEO Interview. Then the Superiors of the Ideas2IT Company will appoint the selected contenders as Software Engineer position. Qualified and job need people will not miss out this opportunity. Readers can check the entire info and attend at the venue directly. Before attending the drive people need to check the Ideas2IT Placement Papers and Ideas2IT Written Test Papers. We hope those papers will help the candidates during their preparation. To know more updates about Freshers Jobs or other IT Jobs keep on checking our site www.allindiajobs.in for factful and accurate info. Year of Pass Out: 2017. Round 1: Online Screening Test (Aptitude). Ideas2IT is a high-end product firm. Started by an ex-Googler, Murali Vivekanandan, we count Siemens, Motorola, eBay, Microsoft and Zynga among our clients. In the last year alone we have launched 2 products, PipeCandy and IdeaRX, which have been funded by tier one investors. Ideas2IT Build Great Products. Across the floor, we deliver scalable software to world-class companies like Microsoft & Motorola and still sit by the side of an idea stage business founder & take the right decisions for them, every time. Founded by Silicon Valley veterans who are senior entrepreneurs themselves with a track record of building complex products. Interested job aspirants can attend for the Ideas2IT Walkin Recruitment 2017 which is going to be held in Chennai on 22nd and 23rd July 2017. Aspirants who have job need can attend at the venue on given walkin dates and it is better to be there on before 9 AM and also bring the mandatory documents which are provided in the below article. You can refer your friends. Kindly ignore this email, if you have already attended the interview.